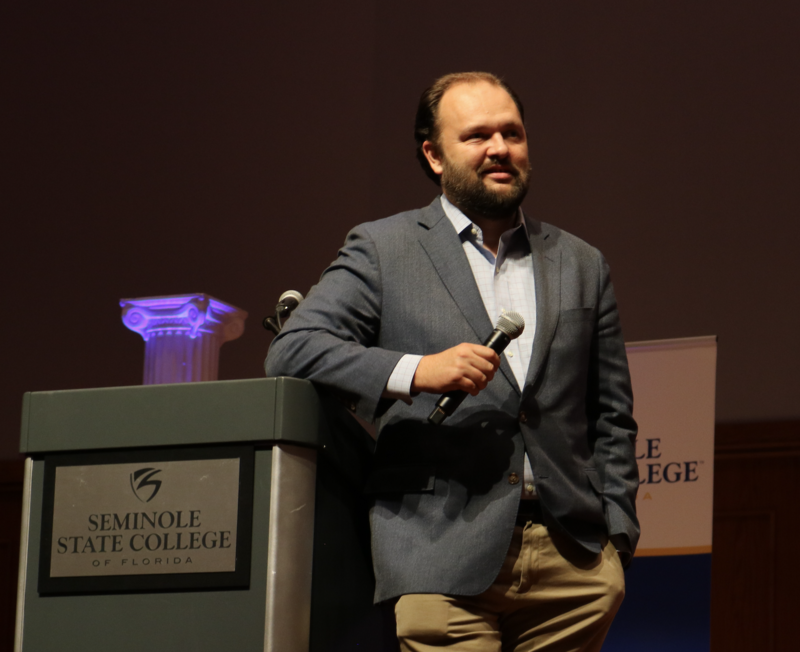 Ross Douthat, a columnist from The New York Times, ushered in Seminole State College’s 2018-2019 Speaker Series Nov. 1 by discussing the history of the relationship between Republican Party and the working class leading up to the Donald Trump presidency. Douthat explained Democratic and Republican party beliefs and their relationship throughout various presidencies leading up to the current administration. He described how past presidents have won the votes of certain groups of people, and how different groups’ voting patterns have changed throughout America’s political history. With the topic of political parties being relevant to the upcoming elections, more than 50 people attended the speech, a handful of them not being Seminole State students or staff. Listeners lined up to ask Douthat questions after he wrapped up his speech. Douthat responded to everyone who approached the microphone whether they were asking a question or, as one woman claimed, making a statement. The event spanned from 7 to 9:30 p.m., wrapping up with a book signing and free food in Building C.
This speech kicked off the start of Seminole States Speaker Series and will continue in January 2019 with Professor of the History of Science at Harvard University, Dr. Naomi Oreskes.